Green Leaf Lawn once your home to look its best this holiday season with spectacular holiday lighting from our expert service engineers. Allow us the opportunity to decorate your home at an affordable price. Green Leaf Lawn will provide the lights, putting them up and taking them down. We are a one-stop shop for all of your Tulsa Holiday Lights needs. If you are interested in setting up an appointment and using one of our holiday lighting service packages this year, we would love to hear from you at 918-640-6405. 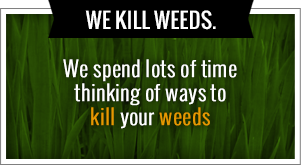 You can also visit us online anytime at www.greenleafweedcontrol.com for more information about our company in the services that we offer to the people of Tulsa, Oklahoma. Whether your house is big or small, we have no problem custom fitting a lighting package for Tulsa Holiday Lights to your house. We offer full-service lighting packages. We install and remove your lights, and will even provide lights if you need them. We safely store your lights for use next year and we have the experience to work with all types of lighting systems. We can safely install your holiday lights this season and keep you inside where your warm by the fire. Let us do all of the installation work and we can set it up starting today by giving us a call. If you want your lights installed early we can do that, we just need to know when you want to be done and will take care of the rest. 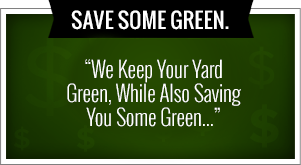 We also maintain the lawns year-round in the Tulsa area. Green Leaf Lawn maintains landscapes for people around the area. We will help you with all of our professional lawn care technicians, your yard will be maintained year-round. Don’t worry about a thing, we can set up a monthly yard maintenance service to be sure your landscape keeps its perfect form. Services include regular maintenance and overall professional management. Worried about your yard turning brown over the summer? Don’t sweat it! Our yard maintenance crews here to take care of you and give you all you need when it comes to expert Juan service in the Tulsa area.